Grade Level: ALL – Open to the Public! 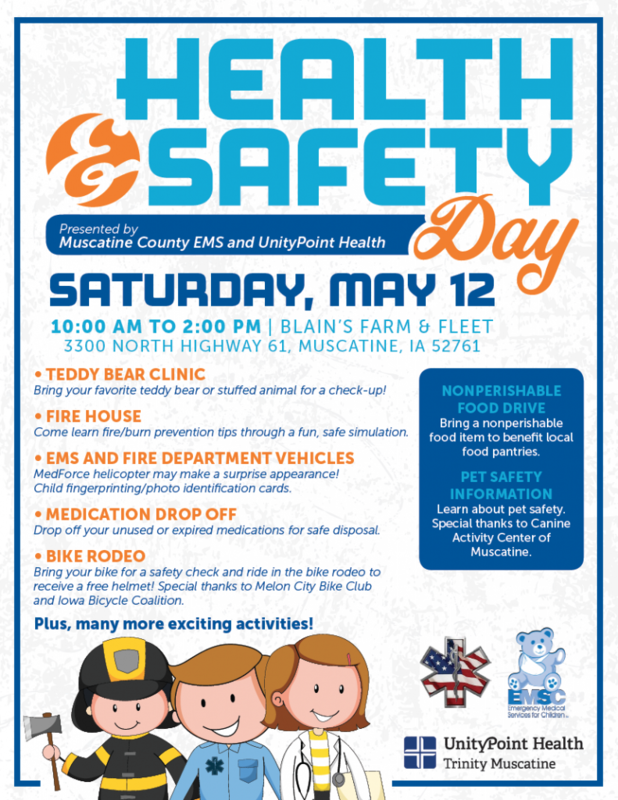 Description: Come out and take part in the Health Safety Day on Saturday, May 12 from 10 a.m. to 2 p.m. at Blain’s Farm and Fleet! Teddy Bear clinic, Fire House, EMS and Fire Department Vehicles, Bike Rodeo!